Kalixa Pro, the small business mPOS solution, today launched its Spirit of Small Business Awards. The awards are designed to celebrate and recognise the very best entrepreneurs, small businesses and sole traders in Britain and strengthen Kalixa Pro’s commitment to support the ambitions and growth of Britain’s best small business talent. Are you a mobile beauty therapist looking to expand your business this year? Or perhaps your family run cafe could do with a cash injection? You may be a self-employed accountant, nursery owner, market trader or taxi driver, or have you just taken the first steps to fulfilling a lifelong dream of becoming your own boss? Whatever your small business story, Kalixa Pro want to hear from you! From today, the Spirit of Small Business Awards are open to entrepreneurs, small businesses and sole traders across Britain. The panel of high calibre judges, including Michelle Mone OBE, one of the UK’s most successful female entrepreneurs and owner of international lingerie brand, Ultimo, will reward eleven exceptional small businesses across the country. Each of the category winners will be given a cash injection of £1,000 and a business support package including a bespoke corporate photography session, website build or optimisation, and a money can’t buy mentoring session with Michelle. But that’s not all, each of the eleven winners will then be in with a chance of scooping the overall Outstanding Small Business of the Year Award which comes with a grand prize of £10,000. “We are delighted to be supporting the success and growth of Britain’s small businesses with the launch of Kalixa Pro and the Spirit of Small Business Awards. 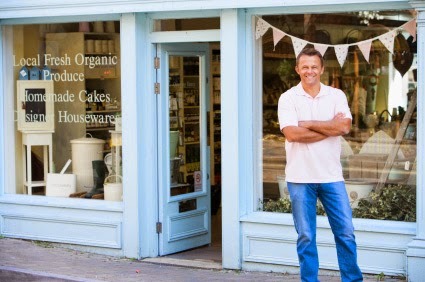 Kalixa Pro has been designed to make taking card payments easy and cost effective for small businesses, helping to solve their cash flow challenges and increase sales and the Spirit of Small Business Awards is just another way we are offering a helping hand for the nation’s small business owner,” added Swain. Michelle Mone OBE, entrepreneur and Spirit of Small Business Awards judge said: “If you are a small business owner or sole trader struggling to achieve a healthy cash flow, you are not alone – as an entrepreneur myself there are very few issues I haven’t faced and I know that it’s not always easy! I’m proud to support Kalixa Pro and the Spirit of Small Business Awards which help and recognise those businesses that are going the extra mile – whether that’s through amazing ideas and entrepreneurship, ensuring customer retention and year on year growth or simply launching a fantastic business idea or concept. “I’m really looking forward to seeing the array of great business talent we have here in Britain and spending time with the eventual winners to help them drive their businesses forward,” added Mone. The public vote for the overall Outstanding Small Business of the Year Award will open the week commencing 29 September 2014, and will see the eleven national and regional winners whittled down to one grand prize winner of £10,000 – chosen by you! The overall winner will be announced on 15th December 2014. For more information or to order Kalixa Pro visit www.kalixa.com/pro.